What Is Agents of S.H.I.E.L.D. Doing? While the Marvel Universe is growing at a rapid—and exciting, I must add—pace, the fact we now have a regular airing TV show gives a chance to enhance (I know, my rule is “if it rhymes, don’t do it”) that universe which has already blown through theatres around the world. Is it working? The TV show shouldn’t interfere with the big-picture plan for the movies, but it should add something to it. So far any time the TV show tries to tie in movie elements to some of the episodes, it feels like a ratings booster grab. Of course events in the show are going to overlap the movies, it’s the same Universe. How can they co-exist though? For those that don’t tune in to regular TV programming, they shouldn’t feel they missed out on a major plot point when they go see the movies because they weren’t able to be at home every Wednesday night at whatever o’clock to keep up with the Joneses. That’s just silly. 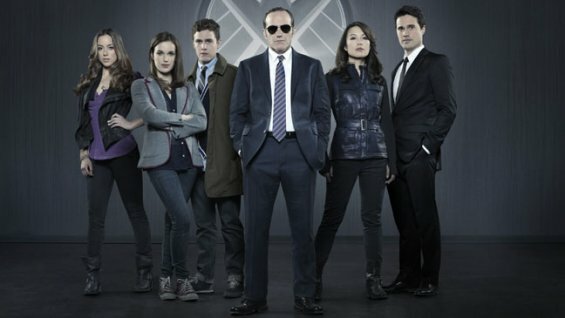 What Agents of S.H.I.E.L.D. should offer, is the kind of ‘bonus’ story that The Animatrix Anthology did for the Matrix trilogy. I admit, I wasn’t satisfied with the end of the Matrix movies. I also admit I never saw any of the Animatrix clips in between Matrix 2 and Matrix 3. Did that dampen my opinion of the final outcome? I thought so at first. Then I watched the clips. Nope, didn’t affect anything! What did they do? Add more to it. That’s what Agents of S.H.I.E.L.D. needs to do too. Don’t try to compete. Just add value to the stories on the big screen. One line in a movie could say “for a year we’ve been tracking this villain, and finally found a clue, at great costs…” For a movie-goer, that line’s enough to satisfy. But that “year” could have been a whole season of Agents of S.H.I.E.L.D. The “great costs” could have be a great season cliffhanger. I don’t know what the grand scheme is. It’s too soon to tell. I hope it’s grand! For now I sit, and I watch. Waiting. I see misfits finding their way. I see what I think is an underlying story-arc about why Coulson is back (though we really need to know if he’s a robot or not. Agree?). I see “FitzSimmons” (which I thought was one person at first, and now just see Hermoine Granger and Ron Weasley from Harry Potter every time…). I love May (played by Ming-Na), she’s totes badass. Where do we go from here? Time will tell. All shows start off slow. I can’t stand to watch the first season of Buffy: The Vampire Slayer without cringing. But it’s the building blocks that make a blockbuster. Marvel is doing something right, right?